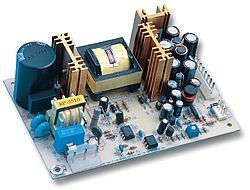 Input Voltage 90V --- 264V Universal full range, single phase. Over Load Protection Over 105% ~ 150% of rating, shutdown. Auto recovery when fault condition been removed. Short Circuit Protection Shutdown. Auto recovery when fault condition been removed. 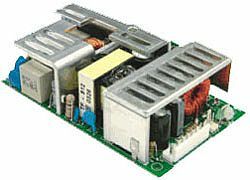 Cooling Natural cooling, when output exceed 80W a 16CFM (min) Fan is required. 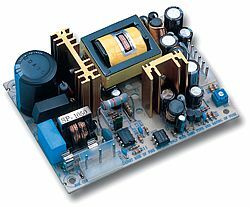 IEC 60950-1st, EMKO-TSE (74-SEC)207/94 standard. 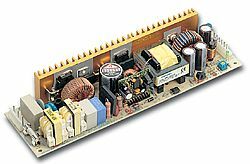 EMI EN 55022 CLASS B : EN 61000-3-2,3, FCC CFR 47 PART 15 CLASS B, CNS 13438 CLASS B.
EMS EN 55024 : EN61000-4-2,3,4,5,6,8,11.